What's The Best Local Craigslist In The Country? 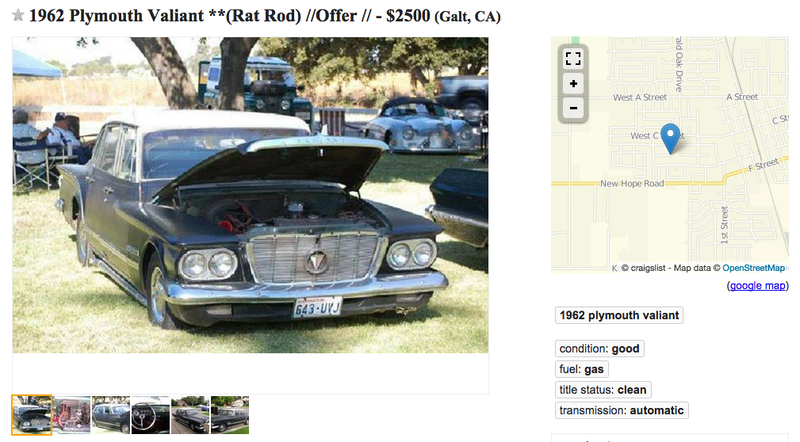 I think I know the best local Craigslist region in the country, as far as buying old cars is concerned. I’m talking about the Sacramento region CL. It is a perfect mix of what makes an area perfect for finding old cars. It’s in dry California, so rust is barely an issue (certainly compared to back East). It’s in Northern California, so there are lots of weird old muscle cars and import cars from decades and decades ago that have survived until today. And it’s not so big that the good stuff is lost in amongst all the other crap, like you get in some of the bigger Craigslist regions out there. It’s still largely local, so weird deals like cheap T-Buckets and Studebakers and Austins pop up on the regular. But I know Sacramento’s Craigslist because I grew up in it. Surely you know a better Craigslist region out there, don’t you? Please post your suggestion with links to a current listing from the region or else I will not believe you. The more links, the better.